Great condition with fine woodwork and lots of equipment. 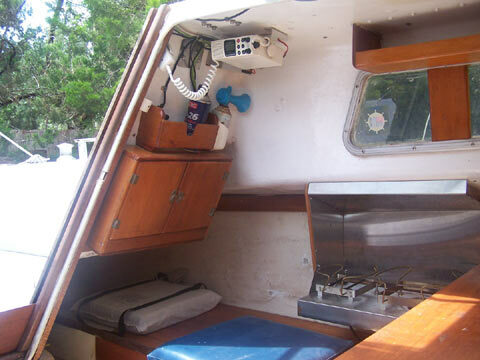 This pocket cruiser has been modified and equipped for performance, safety and comfort. 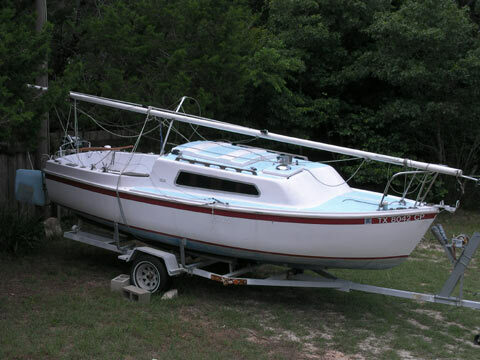 Great for daysailing or long camping trips along the Gulf coast or on a lake. The original mast was replaced with a taller 28 ft mast in order to take on larger sails. 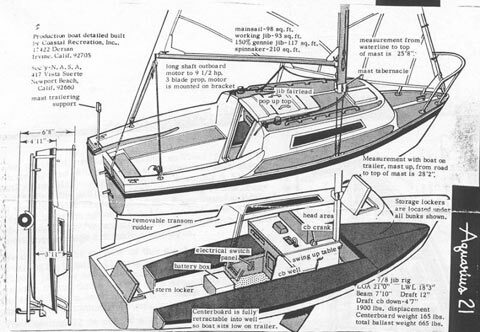 An extra set of side stays, spreaders and additional lead ballast was added to the skiff keel to compensate. With its wide beam, extra ballast and new rigging you can set all of its canvas on a beam reach in a strong wind and barely get the gunnels wet. The roller reef jib makes it easy to sail singlehanded and the skiff keel/centerboard makes it ideal for exploring islands and coves. The interior woodwork is very well crafted. 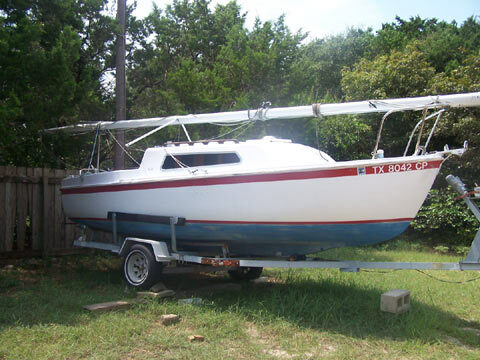 This boat has been in our family for the past 12 years. 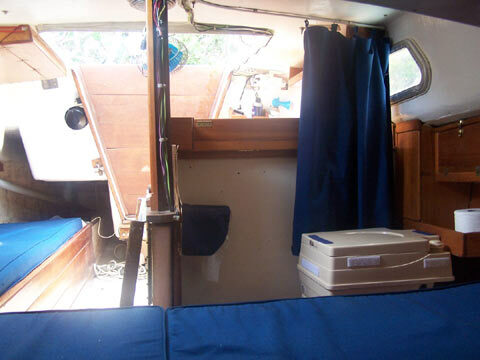 Skiff keel (Modified) covered with fiber glass. Swing keel, 165 lbs with new cable. 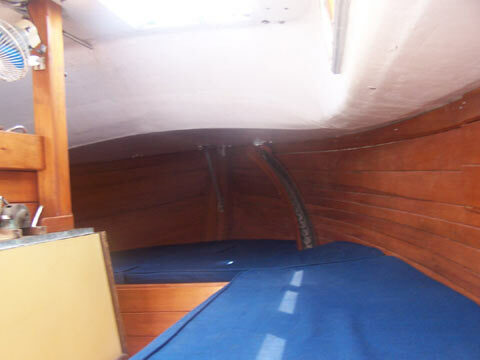 Instruments cover, compass cover, Wood railings and companionway are teak and in excellent condition. The tiller is varnished mahogany and used only three times. 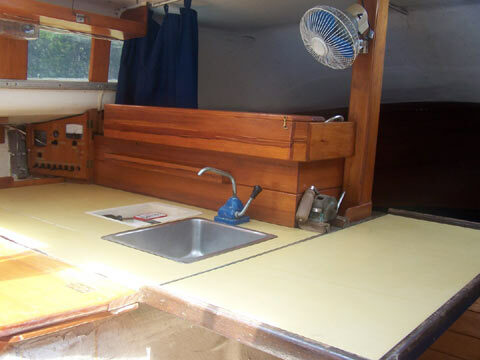 Galley includes stove, draining ice box, sink with pump faucet. 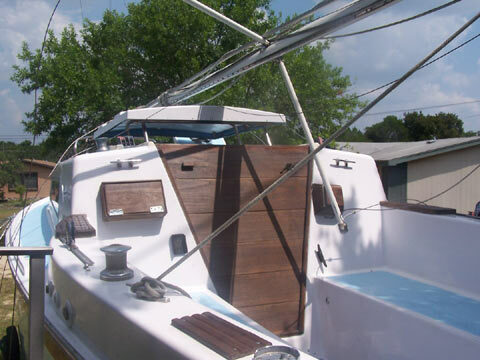 Just to let you know that the Aquarius 21 sold today to couple from Houston and your website is what made it happen. 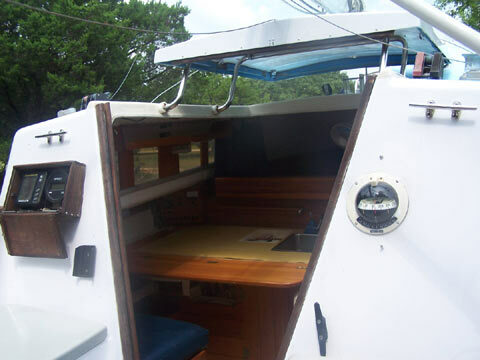 You perform an invaluable service to the sailing community. Thank you!